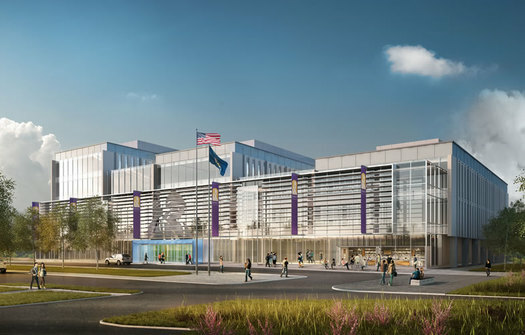 There's a public meeting Wednesday evening to take questions and input about the new Emerging Technology and Entrepreneurship Complex (ETEC) building that UAlbany is planning to construct on the southwest corner of the Harriman State Office Campus. 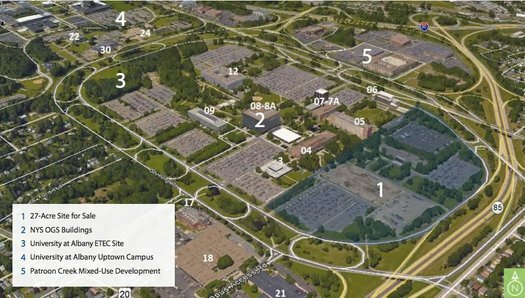 The meeting is from 6-7 pm in SEFCU Arena (Hall of Fame Room), with free parking in the arena lot. The purpose of the public meeting is for an environmental review of the project, and questions and comments from the public will be logged for the record. 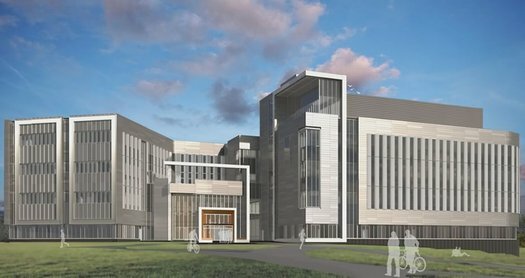 We hear that UAlbany officials will also be there to informally answer questions about the project as best they can. Random Friday afternoon thing: While walking Otto at the Harriman State Office Campus, we've noticed that there's a tiny, single air conditioner that hangs from a window of a giant Department of Taxation and Finance office building. It's row after row of midcentury office building windows -- and then this one window-unit air conditioner. A site map from the state's request for proposals (RFP). 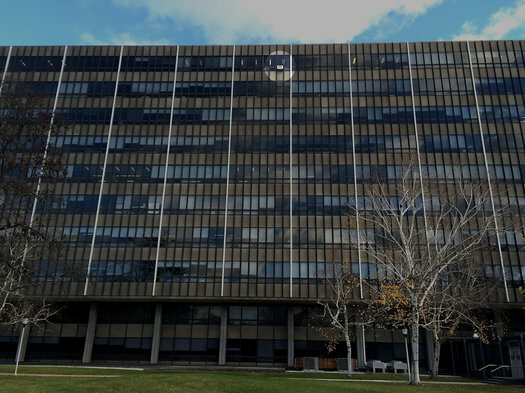 As you might have heard, the state has put a large chunk of the Harriman State Office Campus up for sale. 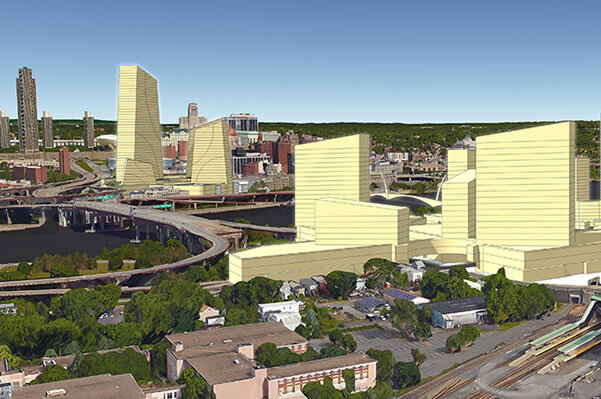 It could be a big deal for the city of Albany because it holds the potential of adding taxable land (which the city's budget could use) and transforming a large site. 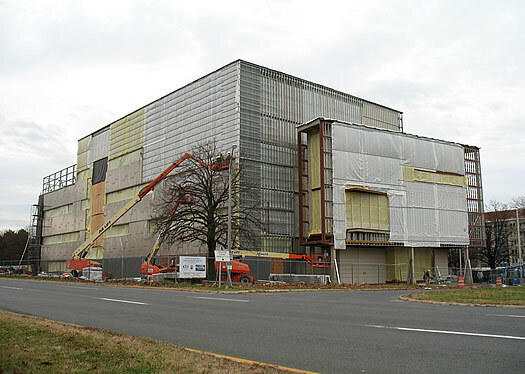 The state held a webcast about the sale Wednesday. It's online if you'd like to watch it, and only about 15 minutes. But we watched it so you wouldn't have to. 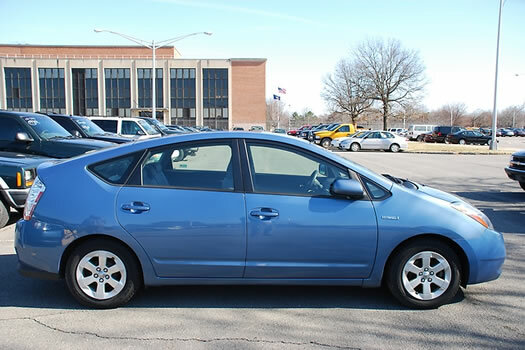 A 2008 Toyota Prius the state is selling on eBay. The state's new website for selling surplus on eBay -- NYS Store -- officially launched today. The first big sale (if that's the word) is a lot of 450 vehicles up for auction. The vehicles are currently at the Harriman State Office Campus and will be available for inspection a few days over this weekend and next week. The minimum bid is $500. The auction ends April 13. Most of the vehicles are Chevys and Fords, the kind that just sort of say "government vehicle." But browsing the stock this morning we noticed there are a handful of Honda and Toyota hybrids, also. The state has been selling old/surplus stuff on eBay for years. It looks like the new website is mostly a better "storefront" for those auctions.